This sturdy wrist brace helps ensure a comfortable and restful night's sleep. 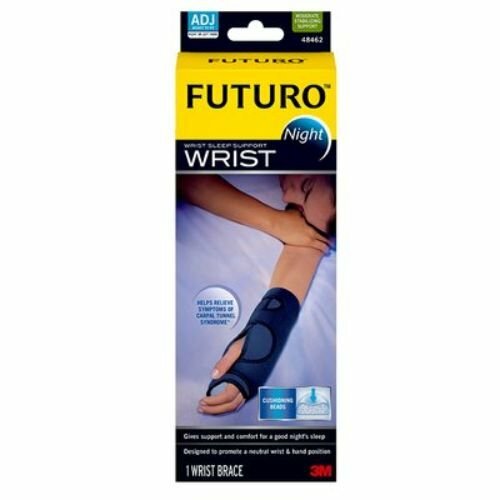 Helps relieve night time hand and wrist pain due to carpal tunnel syndrome, post-cast and arthritis. Moisture-wicking, soft material keeps wrist comfortable overnight. Cushioning beads support ideal neutral hand position during rest.